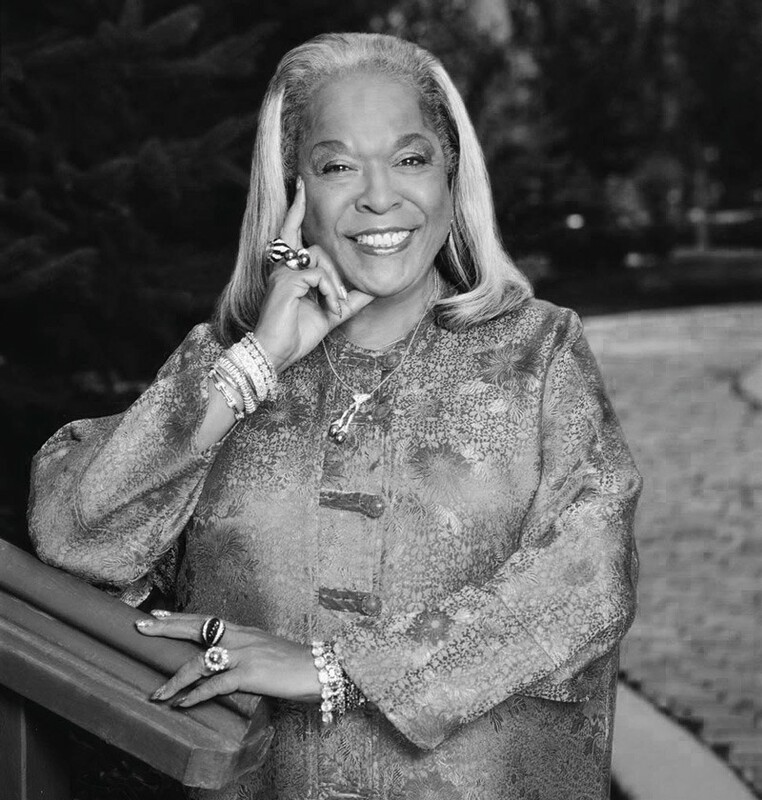 Della Reese Interview: Legendary Actress Returns to TV in Hallmark's "Signed, Sealed, Delivered"
The legendary Della Reese is a multiple Grammy, Emmy, Golden Globe nominee and seven-time NAACP Image award winning actress and singer whose career spans over 60 years. The Detroit Michigan native is also an ordained minister of Understanding Principals for Better Living Church in Los Angeles. Reese soon launched a successful television career appearing on The Mod Squad, The Bold Ones: The New Doctors, Police Woman, McCloud, The Rookies, Chico and the Man, Medical Center, Welcome Back, Kotter, The Love Boat, Charlie & Co., 227, The Royal Family, Designing Women, Picket Fences, Promised Land and The Young and the Restless. Della, a talk show series, ran from June 9, 1969 until March 13, 1970. Probably her most famous television role is that of Tess in the CBS drama series Touched by an Angel (1994-2003). Created by John Masius and produced by Martha Williamson, the series also starred Roma Downey, John Dye and Valerie Bertinelli. Film roles include Psychic Killer, Harlem Nights (opposite Eddie Murphy, Richard Pryor and Arsenio Hall), A Thin Line Between Love and Hate, Beauty Shop, If I had Known I was a Genius and Expecting Mary. Reese guest stars in the new Martha Williamson creation Signed, Sealed, Delivered on the Hallmark Channel, a drama/romantic comedy that focuses on four postal workers who take it upon themselves to track down intended recipients of undeliverable mail. Her last appearance on the show is Sunday, May 11, 2014, at 8:00 PM (eastern). Reese resides in Los Angeles with her husband Franklin Lett. Melissa Parker (Smashing Interviews Magazine): Della, how are you today? Della Reese: I’m wonderful, and so are you! Melissa Parker (Smashing Interviews Magazine): It has been a few years since you dabbled in television, so why did you decide to appear on two episodes of Signed, Sealed, Delivered? Della Reese: This was a gift from God. Somebody else was supposed to do this part, and they could not do it for physical reasons. I worked with Martha Williamson for almost 10 years on Touched by an Angel, and she called and asked me if I would come and do the part. She had a time schedule, so I went to do it and found out the show is really charming. There are some very interesting young people to work with. Melissa Parker (Smashing Interviews Magazine): It is a very talented cast and an interesting premise. Do you write letters by hand, or do you email? Della Reese: I’m not much on using the new things. I’m an old fashioned person. By the time I learn how to use it, they’re making a new one. Melissa Parker (Smashing Interviews Magazine): Tell me about your character. Della Reese: Cora has come in to the group to organize things, and that’s all she’s interested in is the organization of the postal office. When she gets there, she finds these young people. One of them is a young lady in love and a good writer, but nobody pays her any attention because she’s kind of like … I guess the word would be “slow.” She wants to tell about the love she has for one of the gentlemen working at the post office, but she’s frustrated. Cora realizes her situation and appreciates her writing and gives her the courage to be as strong as the rest of them. Melissa Parker (Smashing Interviews Magazine): Can you tell me anything about the upcoming episode? Della Reese: Well no. You don’t want the punchline. You don’t want to know what happens. That takes all of the fun out of it. Actually it is Martha’s nature to supply the scripts on the way to do the act. So working for her is very exciting because you have no idea what’s going to happen next. Melissa Parker (Smashing Interviews Magazine): Touched by an Angel was a groundbreaking series, but you were reluctant to audition for the part of Tess. Why? Della Reese: I had several other irons in the fire, and I had never met Roma before that time. I didn’t know the people who were handling the show, and I didn’t know Martha. I wanted to go to a place where I was comfortable with people I knew, with people who knew me and who were not going to fix me over and who were going to allow me to be who I was in that character. So I was reluctant at first. But then we made a pilot, and they didn’t care for it because it was full of things like Roma was a healer, but she could only heal dogs and cats. She was an angel, but she couldn’t heal anything else. I (Tess) had died of smoking a thousand years ago, and my attitude was, “Well, I can smoke now. I’m already dead from it.” It wasn’t very angelic at all. Martha came in with the rewrite and the new ideas and made it the wonderful show it is now. Melissa Parker (Smashing Interviews Magazine): I can certainly see why the pilot wouldn’t have gone over well at all (laughs). Della Reese: Not at all. Not at all. Melissa Parker (Smashing Interviews Magazine): Do you believe there are angels who help people through difficult times? Della Reese: I believe that God is consciously aware of all of us individually. I’m his favorite, but he likes the rest of you, too. He makes arrangements for things to happen for you, and he’s protective of you if you let him, so I don’t have a problem with angels. Melissa Parker (Smashing Interviews Magazine): Tell me about your childhood and the relationship between you and your mother. I opened my mouth one day and found out I could sing, and I loved it, so I sang all the time. My mother was so patient. I can hear her now asking, “Could you just go outside and play a little bit? Don’t you want to go outside and play?” I would sing, and I didn’t know any real songs, so I made up the lyrics about the neighborhood. That kept her bringing me back into the house for the things I was singing. She was my best friend, and she was my best love. Melissa Parker (Smashing Interviews Magazine): What effect did Mahalia Jackson have on your life? Della Reese: Mahalia was marvelous because she taught me how to communicate with the people I was singing to, how to deliver the song. What she basically taught me was if I didn’t feel it, nobody else would feel it. I watched her. I’ve always been observant, and I watched her. All of the things that I didn’t know how to do I let her teach me while she was singing. Mahalia didn’t sit me down and give me lessons. But here’s an example. I was a lyric soprano at the time. She would let me sing, and I would hit my high notes, and I had the attitude, “Now. Follow that.” She would sit in the chair and just sort of rock back and forth a little bit and begin to moan. She would begin to moan. People would be jumping out of the balcony and feeling the spirit. What interested me was after I sung all of my high notes, how come everybody was excited about this lady moaning? I asked Mahalia about it, and she said, “Well, if I don’t feel it, nobody will feel it.” That made sense to me. Melissa Parker (Smashing Interviews Magazine): Were you the first gospel singer to perform in Las Vegas? Della Reese: Yes I was. I had a gospel group and had just come back from a tour with Mahalia. I took the group into Vegas for about eight weeks, and in that time, the people began to enjoy it. Several other gospel groups came in different hotels at that time, and so we had a “service” so to speak with the gospel singers. Melissa Parker (Smashing Interviews Magazine): Wasn’t it rare for an African American singer to perform there during that time? Della Reese: It was impossible. It was impossible. It wasn’t rare. (laughs) I can still see the manager of the hotel the first night we appeared. As far as you could tell, we were dressed like everybody else. We had gowns on, you know, and our hair was fixed. We were nice looking young women. When we started singing, the waiters and the waitresses stopped serving because they didn’t know what was going to happen. It was like, “Oh my goodness! Let’s get this over with right away!” When we finished, we had a standing ovation, and I had a contract. Melissa Parker (Smashing Interviews Magazine): As an African American woman, how were you treated in the early days of your career? Della Reese: I was subjected to all of the things that were being done to black people at that time. But as I said to you at the beginning of this conversation, I learned from my mother about the faith and my relationship to God. I just turned it over to God, did the best that I could do and kept on trucking. Melissa Parker (Smashing Interviews Magazine): Why did you decide to get into acting? Della Reese: It’s so obvious to me. When I sing, I act out the lyrics of the song, or you don’t know what I’m talking about. It has to be some emotion to it for me. I don’t know what it’s like for anybody else. But it’s not just open up your mouth and words come out. I’m telling a story, and I have to be a part of that story. I have to make you feel that story, so that’s not a big step for me from singing to acting. Melissa Parker (Smashing Interviews Magazine): I remember in 1979 when you were stricken with a brain aneurysm after taping The Tonight Show. Della Reese: I remember that too. Melissa Parker (Smashing Interviews Magazine): Did that near death experience test your faith? Della Reese: I can’t use the word “tested.” What it did was make me run closer to God. He sent me understanding about some things. I had a doctor who didn’t know how to communicate with me. That’s a nice way of saying that. He came to my room every day and explained to me in no uncertain terms that it was necessary for me to die because what happened to me could not be fixed at all, that it was useless to try, but that he would do his best. I don’t know how you can do the best you can for something you don’t have any faith in at all, but that is what he said. Well, he thought I was delirious. I said, “No. Listen to me. I’m telling you. God was just in here. He sat down in that seat right there.” My fiancée went and got my son and daughter, and they couldn’t believe I was saying that to them. But the man took me down to the operating room, made the injection and until this day, I could not tell you what he did because I didn’t see it, I didn’t feel it, and it was perfectly done. I didn’t have any problems when it was time to work on it. Melissa Parker (Smashing Interviews Magazine): That is a fascinating story. Della Reese: It gets more fascinating because it made me proof of the truth of what God will do if you will let him. I had to have surgery, but there was a place in Switzerland I could go where a man was capable of doing what needed to be done, and there was one in London, Ontario. They didn’t want me to go to Switzerland because of the time I’d have to be on the plane without medication, so they sent me to London, Ontario. Melissa Parker (Smashing Interviews Magazine): What do you teach people as a member of the clergy? Della Reese: I teach what you would recognize as “new thought.” What I’m interested in people knowing is that serving God is fun. I don’t know about anybody else, but when I was a child, people were saying that God was going to get me, God was a threat to me, God didn’t like me. All of that was ridiculous. If God wanted to get me, what could I do about it? How could I live with him if he didn’t want me to? It just seemed dumb to me. I was never able to adjust to that part. My mother didn’t teach that, so at home, I was okay. But when I came out into the street and people started telling me that, it was too confusing. It didn’t make sense to me. So what I teach is the Bible. I teach the interpretations of the Bible to the good side of it. For an example, as I said to you, my favorite verse if “Be still and know that I am God.” That is one of the keys to being comfortable in this body that we live in. Be still means to stop talking, stop worrying, stop wondering, be still of the essence of yourself. Don’t think God will help you, don’t hope God will help you, know that God is loving and going to help you. What they forget to teach is that sometimes you have to go through stuff to get to your stuff. I just met you here now, but you have had situations where there was such a block in front of you, you didn’t know what to do, but after you got yourself together and persevered, that block made you stronger to do whatever it was you were going to do. Is that not so? Melissa Parker (Smashing Interviews Magazine): Of course. Della Reese: So what I’m teaching is that God is not after you, he is open to you, and it’s fun. It’s joy. Let me say this. Everybody ought to serve God the way they feel like serving God. I feel that’s my right too, so I don’t have a lot of things to signify God. The God I’m talking about is the God that’s inside of you, taking care of you every minute of every day, loving you when you let him, making a way out of no way, giving you power and strength and energy, increasing your life with the pleasures he has designed for you. Melissa Parker (Smashing Interviews Magazine): You’ve been married for over thirty years. Melissa Parker (Smashing Interviews Magazine): What makes it work? Della Reese: I was married before. Well, I wasn’t married before, but I walked down the aisle and wore a fancy dress before. It was so disappointing to me. I didn’t want to be involved in it anymore. For about five years, I had no desire for a man. I had good friends that were men, but nothing personal enough to be married, to make love, to be in love. I didn’t have that. But one morning I woke up alone, and I felt lonely. I wanted somebody to give me a cup of coffee and talk to me in the morning. It occurred to me that I had always chosen the men I was with. I had never asked God for the right man for me. So I did ask him for the right man, and that was God’s part. My part was I started cleaning up the house and getting things I used under different circumstances and getting rid of them and putting them aside. My conversation wasn’t anymore about sending me somebody because I’d already asked him, and I feel like God hears me when I talk to him. He doesn’t always agree to do what I want done, and thank God for that because he has more sense than me. But I just started feeling more comfortable within myself. I went on a job, and the job introduced me to the man I’ve been with all these years. Another thing was we took time. We got to be friends before we got to be lovers before we got married. He is my best friend, and I am his best friend. We like each other. Not forsaking we love each other, but we like each other. We have fun with each other. He wakes up singing and making noises. His instrument is his chest. He beats out the drums on his chest, and he sings. He knows no lyrics at all, so he makes it up as he goes along. Every morning I wake up in laughter. I try to do that same thing for him so that he wakes up in laughter, too. It’s a wonderful way to be. Melissa Parker (Smashing Interviews Magazine): I believe that laughter is very healthy for you. Melissa Parker (Smashing Interviews Magazine): It has been a pleasure and an honor to chat with you today. Della Reese: Well, thank you for that. See how good God is? He gave me you, too. « Tony Orlando Interview: "My Whole Purpose Is to Take My Career and Turn It into Good"